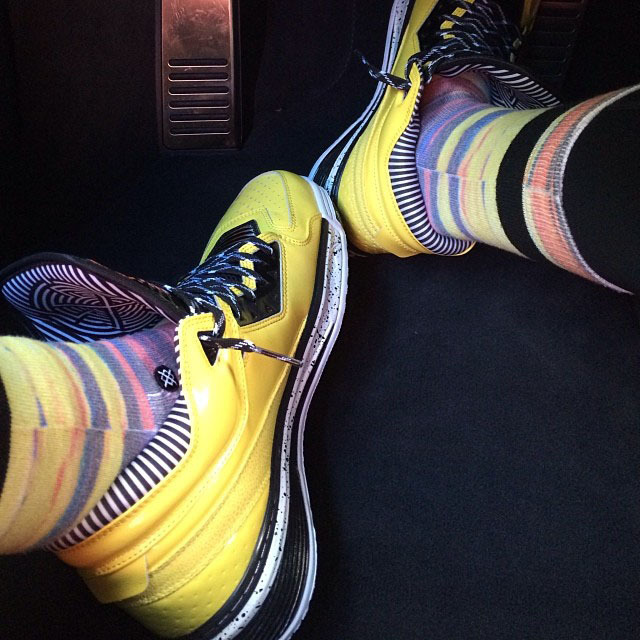 While stuck in traffic yesterday, Dwyane Wade decided to treat us to a look at a new Li-Ning Way of Wade 2 colorway. Perhaps part of this year's Caution Pack, the shoe is yellow-based with black accents, a speckled midsole and striped interior. No release details are known at the moment, but we'll let you know if we hear something.